In case the changing requirements by websites to create longer and more complicated passwords hasn’t tipped you off already, keeping passwords secure is becoming more critical than ever in an increasingly digital world. Protecting not just personal information from being stolen, passwords are also essential to businesses, as recent data has shown that roughly 60% of data breaches stem from lost or stolen passwords. Below, you can find a collection of helpful information ranging from the shifting role of passwords in a digital world to the password’s impact on modern document management systems and practices. With resources including an in-depth white paper as well as an assortment of related articles and videos, get the breakdown on protecting electronic information from data breaches and theft here. 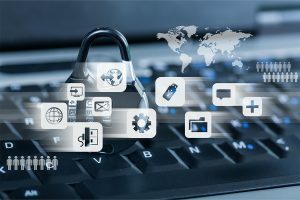 The impact of lost and stolen passwords can range widely—from email or social media accounts leading to loss of personal information and identity theft, to massive data breaches imposing heavy fines and damaging company reputations. Throughout this white paper, we take a closer look at what exactly password best practices are today—exploring password security throughout the creation, storage, and use of passwords, as well as the impact of modern passwords on document management systems. Interested in learning more about the role password security plays today and their impact on document management systems? Check out these articles, related videos, infographics, and more! Security has become a major concern as data breaches continue to affect millions every year. Biometrics use unique human identifiers as a means to authenticate and allow access to systems, databases, and more. Learn about what biometrics, the different ways we can use them, and how we may see them in the future. Weak passwords make your private information vulnerable. The average person juggles dozens of passwords for all different types of accounts, both personal and business related. We created an infographic to show how you can increase security with a few simple steps and keep your private information private. From social media and email accounts to sophisticated company document management systems, passwords and encryption keys often lie at the foundation of protecting the sensitive information accounts and systems contain. Here, we outline not only common bad habits and the best password practices for average users to get into the habit of, but also how password security can impact larger businesses as well. Although document management systems may offer a range of sophisticated features and can help to streamline everyday business operations, even the most secure DMS in vulnerable unless the proper password protections and practices are in place. Get the breakdown on the part passwords play in security systems like encryption, as well as how it factors into ensuring secure storage for your sensitive information here. There are several ways to secure online information, and for years the default option has been a simple password. With technological advances that allow us to track and measure our behavior, new means of authentication are popping up. Learn more about the future of passwords and the role behavioral biometrics plays. To help you protect your personal information, it is recommended that you have multiple unique passwords for your online accounts instead of using the traditional single password for various accounts. By using multiple passwords, you are adding extra layers of security to accounts that hold personal information such as your bank account, credit card information and social media. To get more information on any of Record Nations’ available document scanning, storage, and document management services, or to request free quotes on secure document management systems from a provider near you, just give us a call today at (866) 385-3706, or simply fill out the form to the right of the screen today!